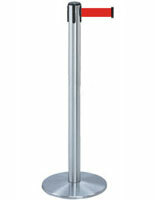 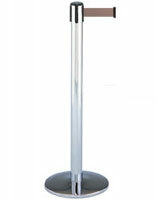 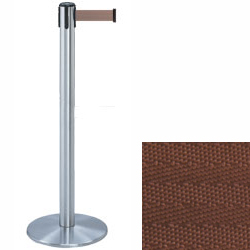 These silver stanchions with brown belt have a 38" tall floor standing design and come with a sturdy weighted base. 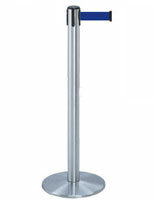 Posts like these are great for creating a barrier system that can direct customers. 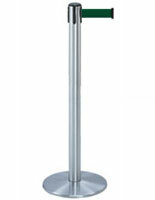 The silver stanchions feature an attractive satin finish that complements any environment. The stands' included strap measures 7.5' long and 2" wide, making a clear division between two areas.